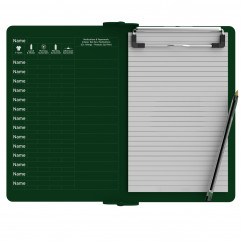 Use our handy Camp ISO Clipboard to keep track of everyday things that campers need! Check off if they have put on sunscreen for both the morning and afternoon, brought their camp t-shirts, and even note their medical or dietary needs easily! 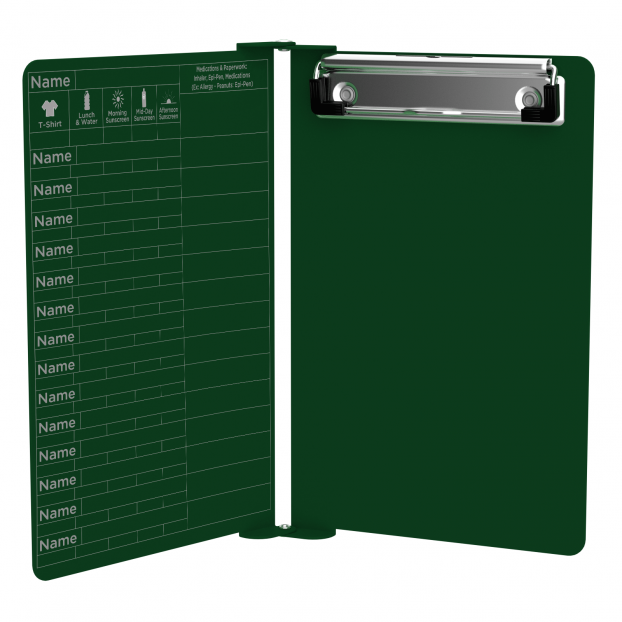 You can also carry a full size 5 x 8 inch notepad inside this clipboard for notes and other forms. Our Camp ISO Clipboard wipes clean at the end of the day with just a damp cloth and keeps your documents and camper information safe and secure all day long! First 5 x 8 pad of paper is included, purchase additional 5 x 8 inch pads of paper as an option. We offer optional clipboard clips in checkerboard texture, blacked out, and with a tag to hang your clipboard. Our 5x8 notepads fit our Petite clipboards perfectly with removable sheets! Click here to see full details and other pack sizes. Make sure you get the perfect clipboard for you! 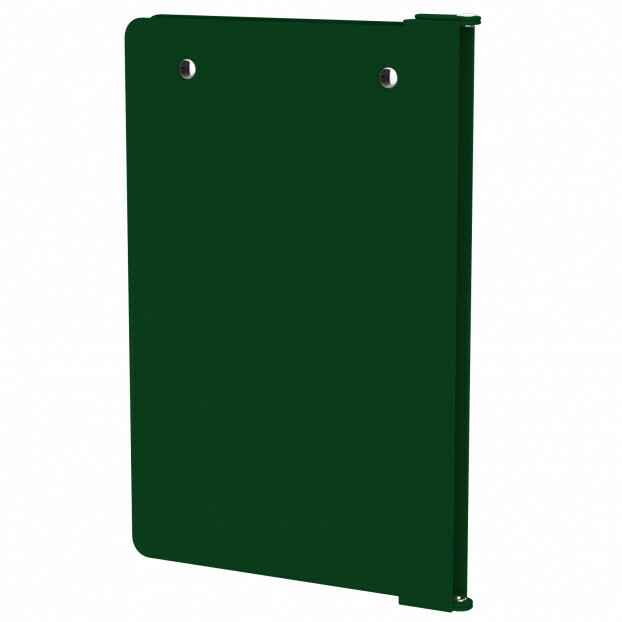 Click here to browse our other clipboard styles, sizes, colors and materials!